The 2018 Fringe Programme is here! We invite you to leap #intotheunknown and start planning your August adventure by exploring more than 3,500 shows registered in this year's Fringe. There are plenty to choose from so make sure to check out our advanced search tools that let you filter shows by genre, location, suitability, time, date and much more. Once you spot a show that takes your fancy just pop it in your basket, add it to favourites or pencil it in your personal planning calendar which syncs between the website and official Fringe App. Want to get your hands on the printed programme? 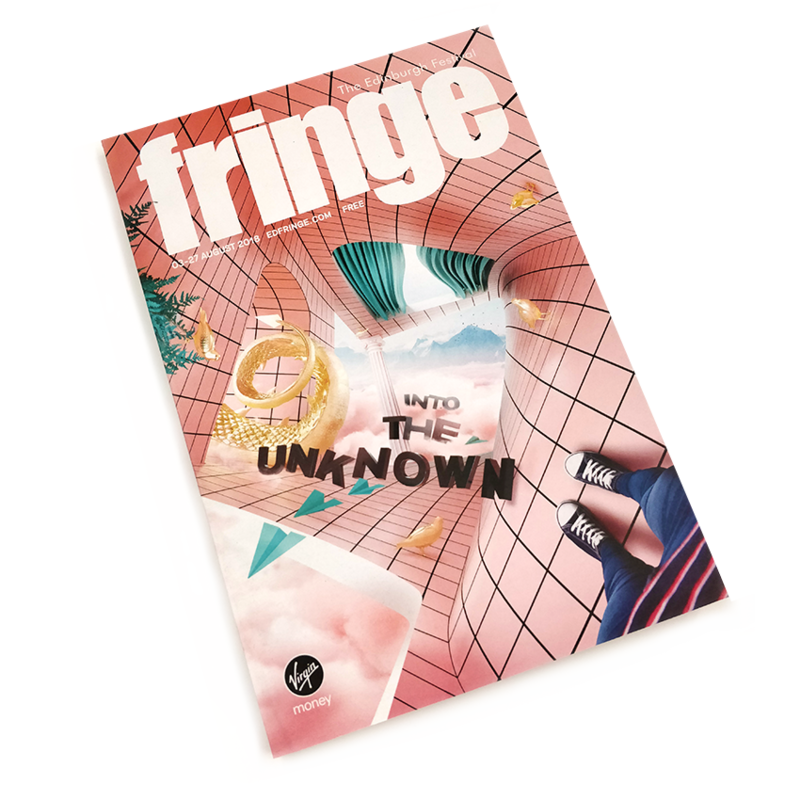 The Fringe Programme is completely free and available for collection from a number of outlets across the UK and Ireland. If you'd prefer you can also get a copy delivered direct to your door – you just need to pay postage and packing. Sign-up to become a Friend of the Fringe and get 2for1 tickets from a choice of more than 2,000 shows in this year's programme. On top of this you get a number of perks including an exclusive box office (where you can also purchase Virgin Money Half Price Hut tickets), a dedicated telephone booking service and 10% off merch in the Fringe Shop. On top of all these benefits you also help support the work of the Fringe Society, a registered charity, in its work to support the artists and performers that make the Fringe each year and make the Fringe more accessible. The official Fringe App is now available to download and includes all of the shows registered in the 2018 Fringe Programme.